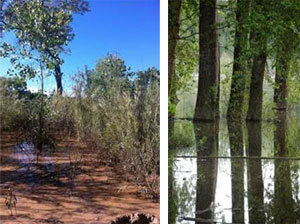 GSA ecologists have supported the Albuquerque District with Middle Rio Grande habitat restoration since 2004. 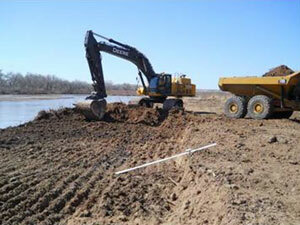 These projects span more than 22-river miles and approximately 2,500 acres of floodplain habitat restoration. Middle Rio Grande Restoration has involved removing non-native vegetation, restoring native forest, constructing willow swales and aquatic habitats, and improving river channel and floodplain connectivity. 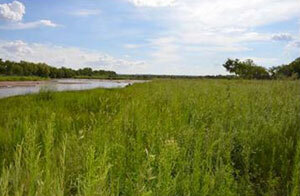 We support the Corps with “turn-key” habitat restoration technical support services including site assessments, restoration design, project implementation support and oversight, monitoring design and implementation, and research and adaptive management.